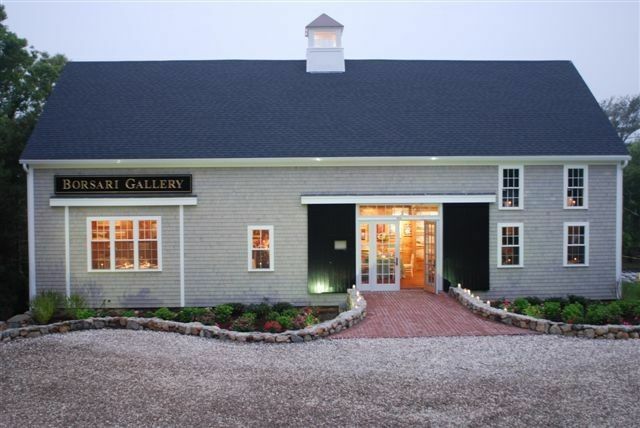 After a three-year restoration, the Borsari Gallery venue in the quaint city of Dennis, Massachusetts has fully embraced the Cape Cod charm the area is known for. 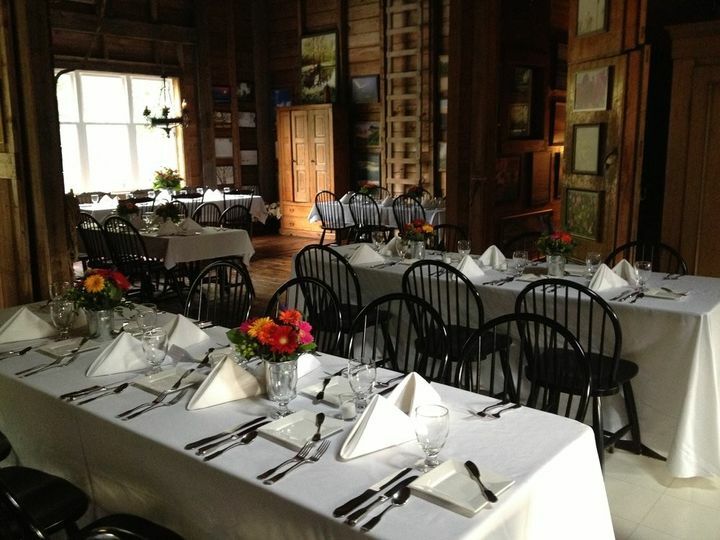 This historic venue was built in the 1800s and features a barn and art gallery. 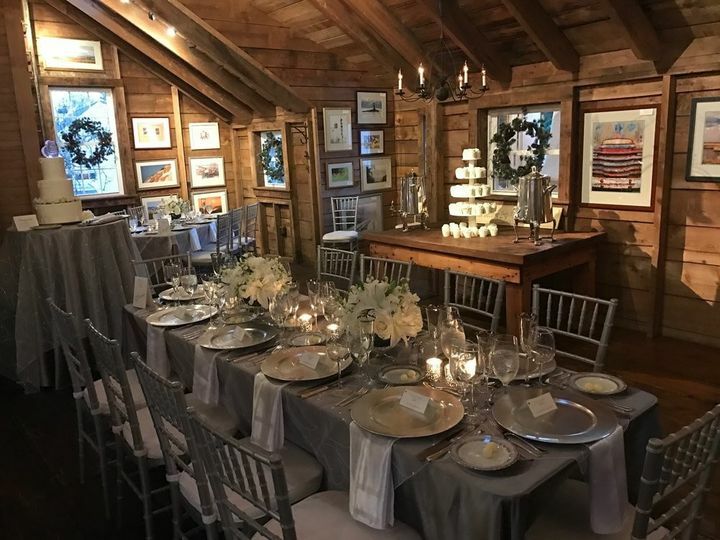 In this classic New England setting, couples can share the beautiful land and sea with guests as they celebrate not only the ceremony, but also the engagement party, bridal shower, rehearsal dinner and reception. When you host your wedding at Borsari Gallery, the property is exclusively yours for the day. 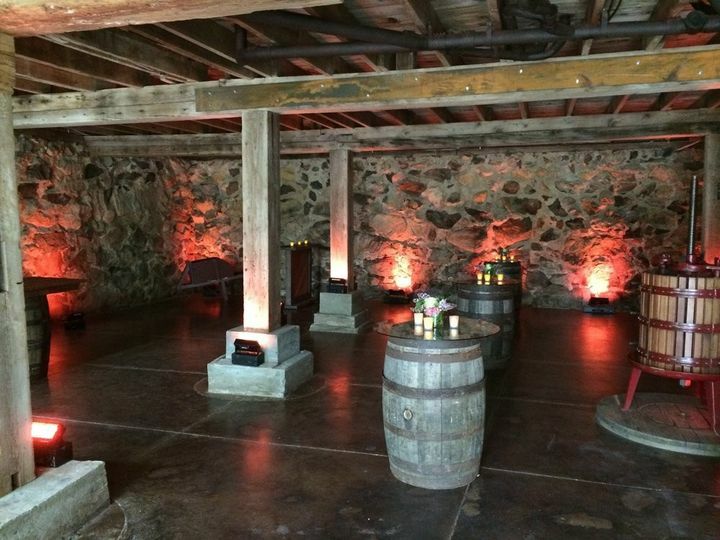 Couples can enjoy the rustic touches, such as the post and beam structure, with up to 99 guests. 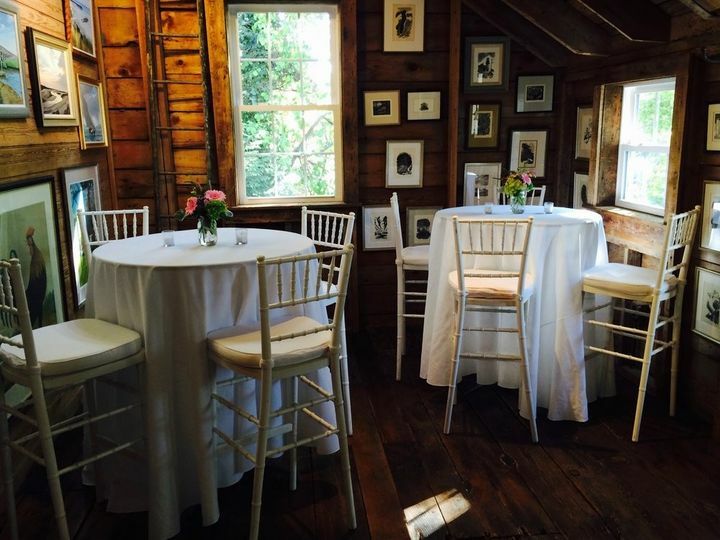 As a special bonus, the barn features a bride and groom or guest suite that can be shared with up to six individuals. Tabitha and her team at Borsari we’re nothing less than a godsend while we were planning our wedding. We work abroad and Tabitha was there to answer every question we had. Our ceremony was in the wine cellar and the reception was in the art gallery above. Our formal photos which we took on the grounds were nothing but perfection with the beautiful woods, blue skies and meadow like landscape. I cannot recommend Borsari Gallery and Tabitha more highly for a wedding venue - best decision ever! Tabitha orchestrated the perfect wedding day for me and my husband. Everything was simply incredible. She is extremely knowledgeable, organized (! ), honest, creative and funny!! I loved working with her. We had a December wedding. We were married in the wine cellar (followed by a stellar cocktail hour) and we had our reception in the gallery. Walking into the gallery, all lit up by candles, was a moment I will never forget. It was truly stunning! 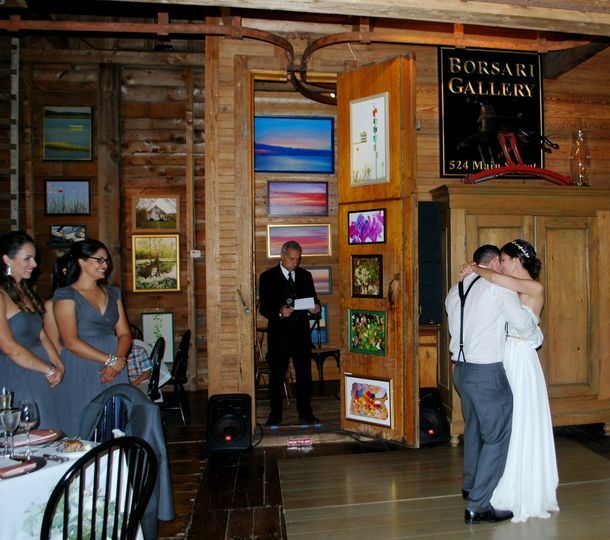 Honestly, if you are thinking about Borsari Gallery for your wedding, no matter what the season - do it!!! Best decision ever! Borsari Gallery was the best venue we could have hoped for! The owners, Bob and Kathy Borsari, and the planner Tabitha were all incredible. 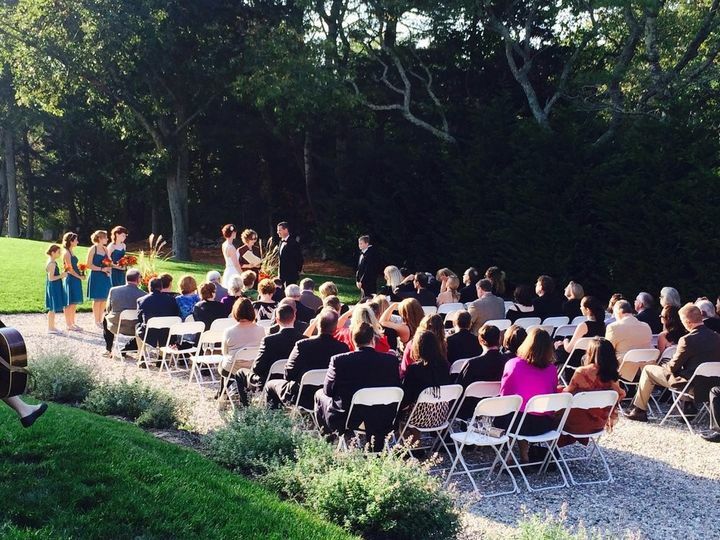 Compared to my experience with friends' weddings, their personal, attentive service was really unmatched. The venue is warm, intimate and unique. It poured on our wedding day but it didn't phase anyone! Bob was outside valeting cars and walking guests under umbrellas. 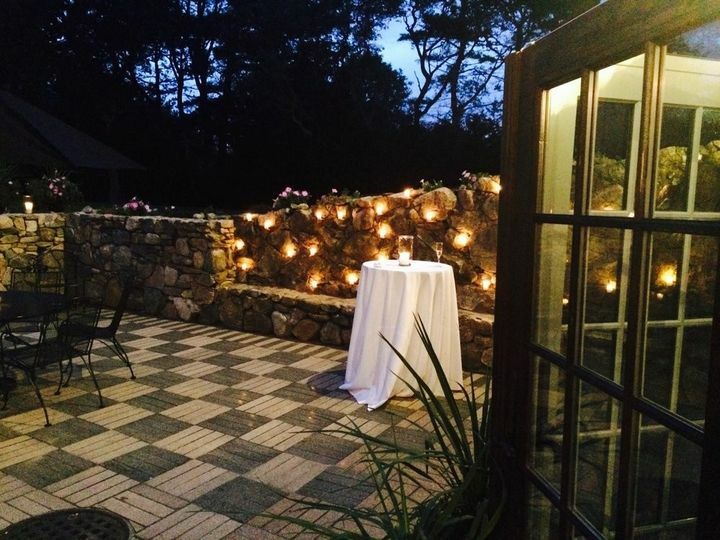 We live on the Cape and have been to so many events and weddings; we didn't want a typical venue or a place where our guests have already seen many times. People were in awe of the venue. In fact, some people thought that the wine cellar (where cocktail hour was held) was the whole place, so when we went upstairs to the gallery they were amazed! It really has a 'WOW' factor! 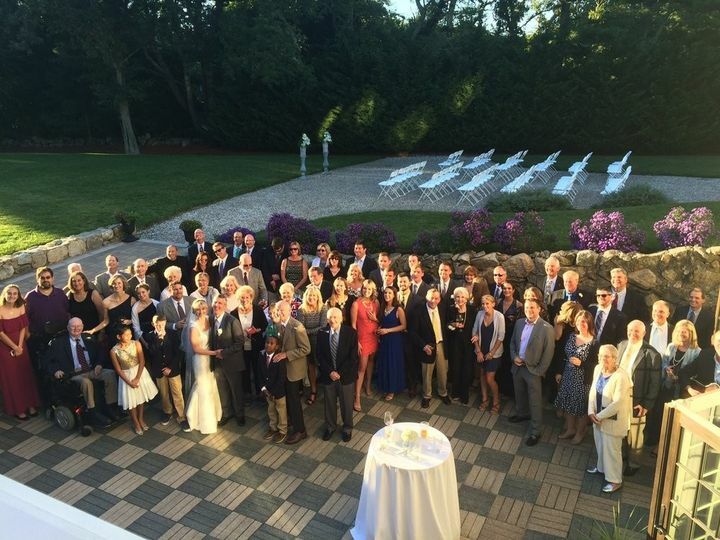 I was a little worried beforehand that it would feel small, but it was absolutely perfect for our 95 guests. Everyone loved the "strolling reception" concept, too! It created an atmosphere where everyone was mingling, eating and dancing all night. We've heard so much positive feedback from our friends and family. We were looking for classy, yet not overdone or over-the-top. This was it. I wouldn't have changed a thing - even the rain! It was the perfect day and we can't thank Bob, Kathy, and Tabitha enough for making it happen.